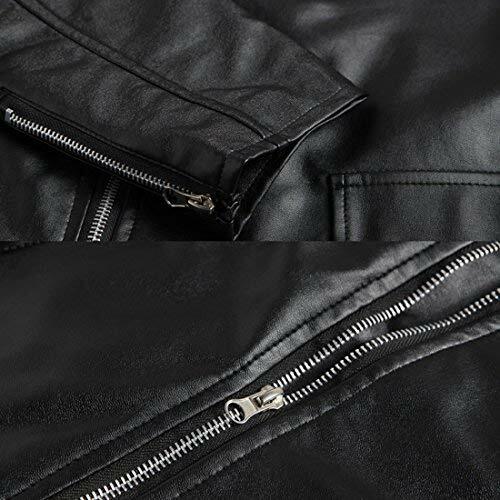 【Design & Style】Stand collar with snap closure buckle,front zip closure,multi pckets:two waist zippered pockets and one inner pocket.You can put your phone,MP3 player and other accessories in it.Retro style,unique design on sleeve,shoulder and back side.Especially suitable for motorcycle riders.A soft and comfortable biker jacket. 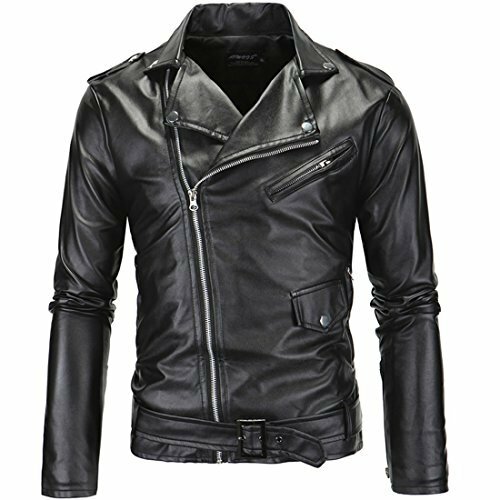 【Collocation】This faux leather jacket is casual and regular fit,can mix and match with so many casual trousers and stylish denim pants for the daily look. 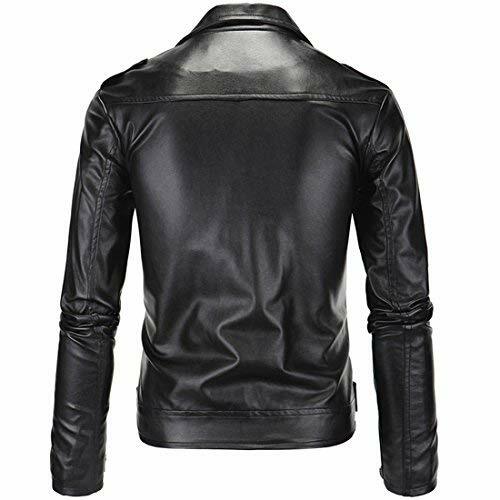 【Occasion】Our leather biker jacket is perfect for multi occasions:motorcycling,biking,driving,racing and street wear,lounging;hang-out;home wear picnics and more. 【Guaranteer】:If it is the quality question,we will resend or refund to you;If you receive damaged or wrong items,please contact me and attach some pictures about your product and packages to me,i will confirm it for you,if it really has some wrong,I will exchange a new correct item to you.If you are satisfied with our product or service,please leave your positive feedback! If you have any questions about this product by DUBUK, contact us by completing and submitting the form below. If you are looking for a specif part number, please include it with your message.